1. You get to help people become the best versions of themselves. There is no greater job satisfaction than knowing that the work you do is making a difference in someone’s life. Being able to rest your head on your pillow at night knowing that the work you do is making people’s lives better will ensure you sleep like a baby and wake up every day excited to go to work. 2. 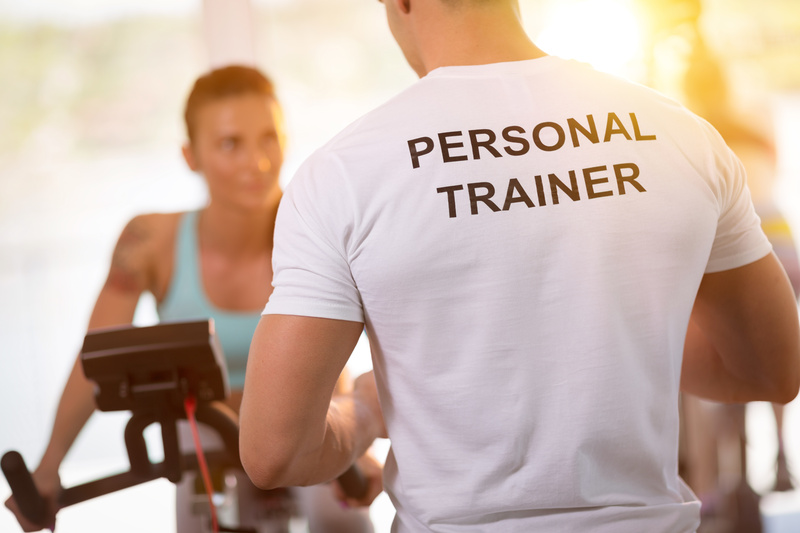 The career opportunities that exist for personal trainers are varied and plentiful. Whether you want to work in a traditional gym setting, in a physical therapy office, from your own home or online – the possibilities are endless. Not only can you work from virtually anywhere, but the number of people requiring the services of personal trainers is growing by the day along with the waistlines of the public. Not only are the opportunities vast, but job security is virtually guaranteed by America’s obesity epidemic. 3. Personal Training is a career where your earning potential is only limited by your imagination. No longer is personal training primarily one-on-one sessions between one client and one trainer (although it can be if that’s your style). Successful trainers have learned that they can create more income while keeping their services affordable and in-demand with programs like small group and team training and boot camp-style group workouts. Online training is a growing business where people are willing to pay certified personal trainers to create workout plans for them. You might find yourself writing workouts for people on the other side of the globe who you’ll never meet in person! 4. You can literally become an expert in your field. Think about all the morning shows and radio shows preparing their content in January – they want to talk about fitness and resolutions, every year without fail. Who do they turn to? Trainers, of course! People look at personal trainers as experts in fitness and wellness. From talk shows to webinars to interviews in magazines, the expertise of personal trainers is valuable and always in high demand. 5. It’s a flexible career. Most trainers, once fully immersed in personal training as a full-time career, manage their own schedules and business. Need a week off? Write plans for your clients and require them to wear heart rate monitors so you can track their progress and keep them accountable from a beach in Florida. Have a special event at your child’s school this afternoon? Book duo sessions in the morning to create some variety in your client’s workouts while freeing up your afternoon for family obligations. And remember to bring your business cards to your kid’s school play! 6. Not only can you create great variety for your clients through inventive programming and scheduling, but you can create plenty of variety in your days, too! Depending on what specializations you choose to pursue, you might spend one hour training an athlete in sprint drills on the track who’s preparing for the championship game followed by half an hour with a rehab patient recovering from an injury or illness on machines only to finish up your day by coaching a weight loss client as they swim laps in the pool. You can literally design your schedule and days to prevent boredom AND increase your value as a trainer by branching out and considering multiple specializations. 7. You’ll be a part of a very special community. Find a personal trainer on Facebook or Instagram. Now try to find a negative or depressing post or share. You’ll have to search pretty hard to find one. Successful trainers tend to be positive, motivating and inspirational. By surrounding yourself with people who are successful, positive, motivating and inspirational you’ll learn to be all those things on a daily basis, too! You will literally be surrounded by like-minded people who get up every day to make people’s lives better – and what better community could you ask for? 8. You will build wonderful and rewarding relationships with clients and other fitness professionals. Trainers who’ve been working in their field for a while typically find themselves inviting clients and other trainers to family meals, holidays and important life events like weddings. Why? Because when you share something as magical and life-changing with someone as and fitness or wellness transformation, you create lasting bonds with people that you’ll share for your entire life. You will literally find your tribe and build your family because of and based on the work that you do. 9. An almost selfish (but in a good way) benefit is that it will give you a reason to make sure you’re in top physical condition yourself. After all, the best way to inspire others is through your own actions, habits, and accomplishments. In fact, you’ll have no excuses to not workout yourself on a regular basis. It will help you motivate and inspire your existing clients and it will help you attract new clients. Clients are drawn o trainers who don’t just talk the talk – you have to walk the walk, too! 10. What’s it they say? Do something you love and you’ll never work a day in your life? Imagine waking up every day feeling like you get to fulfill a purpose instead of just go to a job. Imagine feeling like the work you do matters to someone instead of just fulfills a quota. Imagine knowing that what you do improves someone’s health, quality of life, personal relationships and affects not just your client but their spouse, their children and their entire network of people? Can you imagine feeling like your job isn’t work, but a great honor an opportunity EVERY SINGLE DAY? INTERESTED IN A CAREER WITH ELEVATE FITNESS? CHECK OUT OUR OPPORTUNITIES HERE!